What Makes a Senior a “Senior”? This weekend we celebrated the 50th birthday of my husband and business partner, Mr. Greg Jones (written tongue-in-cheek). Over the last few months as he approached 50, it seemed that he was focusing more on his health and retirement discussions than ever before. I must admit, it annoyed me. I’m nowhere near retirement age and the thought of retiring bores me … to near death! Going back to the subject line. Every single day we run into vibrant, active people who are in their 50s, 60s, even folks in their 70s. THESE ARE ALL PEOPLE WHO STILL HAVE A LOT TO OFFER THE WORLD. “Why on earth would they want to retire?”, I often think to myself. They are incredible mentors, contributors to society, role models. Many of them say that nobody wants to hire them because of their age. That upsets me too, because I know there is still so much they have to offer! 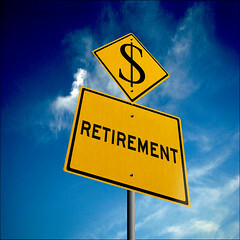 Thank you for an interesting perspective on retiring. I think that the definition of retirement is changing especially for those of us who have worked with our brains more than with our backs. My retirement will be a lot different than my Dad’s was. He worked in an automobile factory and did tough physical work. He earned a good living but I don’t think he ever ‘enjoyed’ his work the way that some of us do today, especially those of us in the ‘helping’ professions. I’ve retired a few times now and have always gone back because I love what I do and have spent a good deal of my life developing expertise and a passion for helping people. That said, I will likely leave the 60-70 hour a week grind of working for a coporation to spend more time enjoying grandkids, traveling, and hopefully serving the community. My knowledge and skills are just as valuable when contributed to our community as when used for a corporation and the hours are more acceptable and varied.